Whitesnake mainman David Coverdale has offered his account of how guitarist Micky Moody left the band – and regrets the fact they can’t put the bad memories behind them. The singer says he’s trying to make peace with all those he’s disagreed with in the past, including former Deep Purple colleague Ritchie Blackmore. But he reveals that Moody hasn’t accepted the offer to shake his hand. Moody was a member of the David Coverdale Band, which recorded the White Snake album in 1977. He remained on board as the outfit transformed into Whitesnake but departed in 1983 following the recording of Slide It In and appearing on its associated tour. 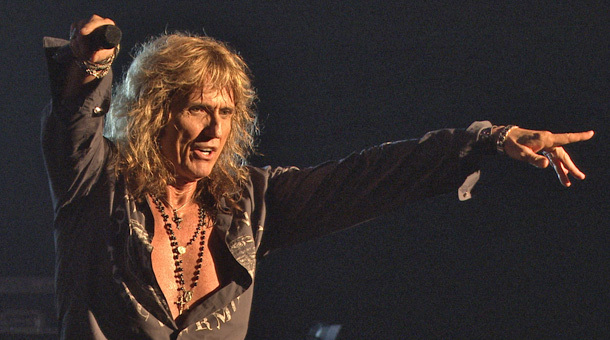 Coverdale tells Rock Guitar Daily: “With Slide It In I wanted to electrify Whitesnake more. Micky was very unhappy when we were doing this. “I’d put Whitesnake on hold at the end of 1981, and Micky didn’t even bother coming to the meeting we had. He had a more important engagement – a darts match at the local pub. “A couple of months later, I get a call from him saying, ‘Look, I’ve seen the error of my ways – can I come back?’ I said, ‘Absolutely!’ Because I was starting a sold-out UK tour in three weeks, and I didn’t have a band. I had Cozy Powell and that was it. “So he came back in, but he really wasn’t invested or engaged in the writing process for the Slide It In album, as you can see on the writing credits. When we were doing the actual album you could see that he wasn’t having a good time. Moody now leads Snakecharmer, featuring fellow ex-Whitesnake man Neil Murray. Their self-titled debut album was released in January and becomes available on vinyl on March 25. The singer wants to clear the air after a year in which he lost an aunt, a brother-in-law and Deep Purple keyboardist Jon Lord. “It’s just not worthwhile carrying the excess emotional baggage of grudges or negative energy,” he says. “There is just no room for it in my life. Whitesnake release live DVD Made In Japan on April 22. It was filmed in October 2011 during the band’s Forevermore world tour.